Llangennith, Gower. | Today I Breastfed. We went to the Gower yesterday, as the weather is positively tropical here (for Wales anyway!). The Gower is the most amazing place, we are truly blessed to have it on our doorstep. There are so many places to go and things to see there, but we chose to visit Llangennith. We ate at The King’s Head inn, and visited the legendary Pj’s surf shop before hitting the beach via Hillend caravan park. Ethan enjoyed crawling around on the sand, and loved playing in the waves even more – he shouted for more when we had to leave. As it was so warm and sunny, I fed him in the car after the beach (he was too distracted by the sand and sea to feed on the beach anyway!). Not the best photo, so apologies for that. We had a fabulous day, and apparently the weather is here to stay, so here’s hoping for more sunshiny posts! 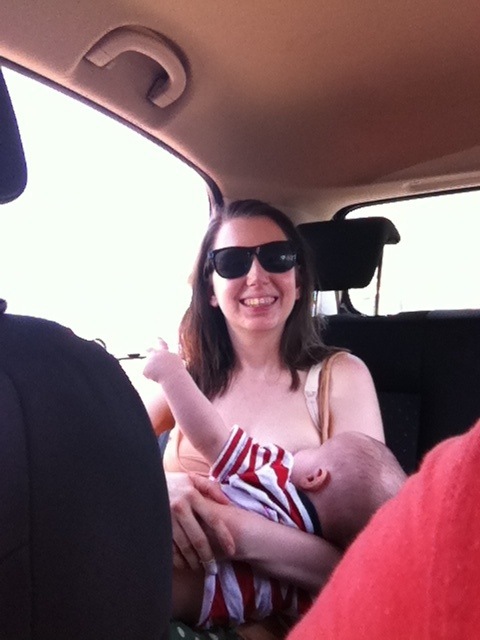 This entry was posted in Uncategorized and tagged baby, beach, breastfeeding, feeding, food, milk, mother, mothering, mum, nourishment, nursing, nursing in public, nurturing, parent, Parenting, scenery, sea, sunshine, view by Today I Breastfed. Bookmark the permalink.